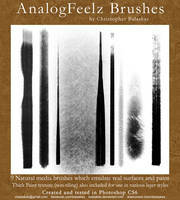 it's time for sharing some (in my opinion) very interesting brushes. 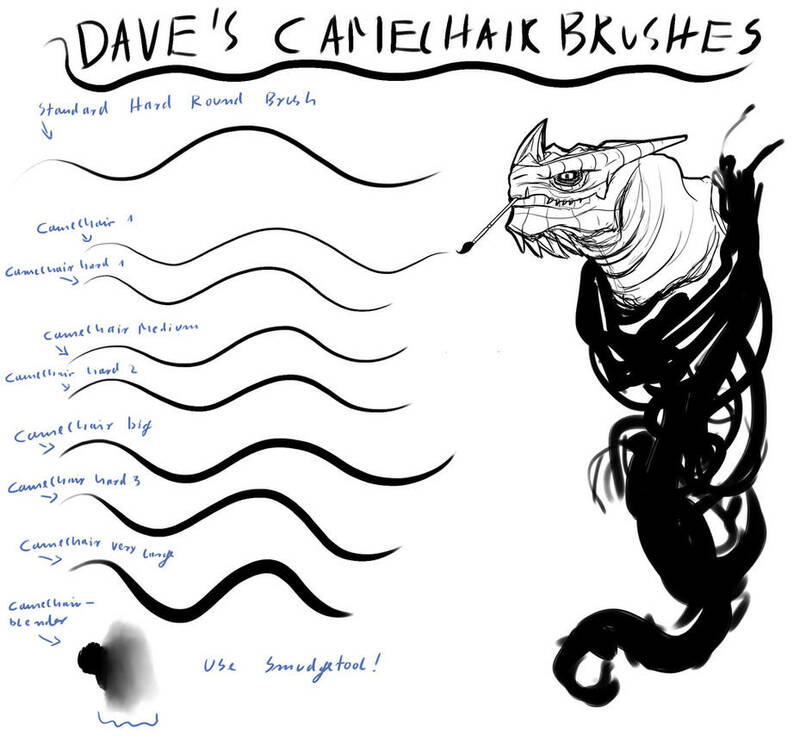 I heard often that this camelhair brush for painter is one of the best drawing-tools, sadly Photoshop does just have the default (hard round) brush and I never found good inking-lineart-brushes for Photoshop. 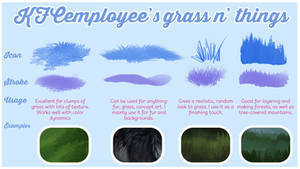 I spended a lot of time creating my personal camelhair-brushes for Photoshop. 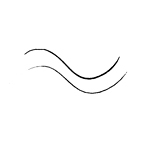 And after trying them out I don't want to use the default hard round brush anymore for drawing (well, for drawing and inking I already have some inkbrushes and pencil-brushes) linearts. My older inkbrushes, however, does have some texture in it - this time I wanted to do smooth but yet crisp lines and I came out with my very new Camelhairbrush-Set for Photoshop. 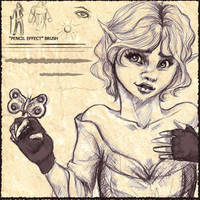 Look at my preview image in original size and compare the stroke of the standard hard round brush of Photoshop with the strokes of my camelhair-brushes. I know it's a matter of taste, but I like how my brushes work very much - so I want to share them with other artists. Maybe someone will find them useful too. 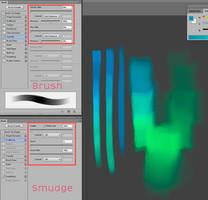 Oh and by the way - I inserted a Camelhair-Blender-Brush in my set as well, it's for the smugde tool. 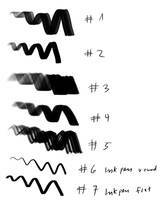 You can do very interesting blending effects with it, but it needs practice. 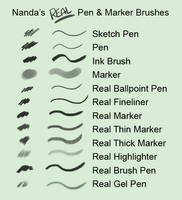 However, you are allowed to share my brushes on other sites by mentioning my name and linking back to my account. You are also allowed to use them for commercial and personal projects, but please don't claim them as your own creation. You may alter them and trying other settings if you like to do so. My preview image shows a quick doodle I made with my brushes, and a preview comparing the standard hard round brush-stroke with my camelhair-brush-strokes. The drawing is copyrighted by me, don't trace, colour or alter it in any case or way - but you may (by mentioning my name) upload it when sharing my brushes for preview-purposes. 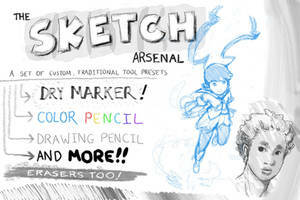 So, I hope those of you finding them useful will have much fun drawing and sketching with them - download and enjoy. If there is any question you can note me or sending me a comment here, I will try to answer as soon as I can. I tried downloading the brush set but photoshop says the file isn't compatible... This is a set for photoshop right? What Photoshop version do you use? I love these brushes! Thanks so much for sharing. So how do I download them? Hi, the download is done via the download button to the right of the preview image. Oh my god, a blender that actually works. My hero! Oh beautiful brushes thanks you soo much!! You're welcome. 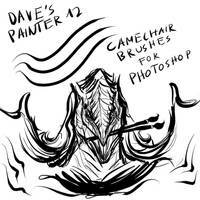 If you want you can support this account here as there will be every new brushset that I have time for to produce. 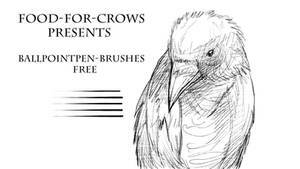 You will find newer and more efficient brushes there. Have fun. 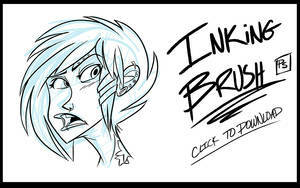 Got any Manga Studio / Clip Studio Brushes ? I can't seem to find the download link for the brushes. oh wow thank you for sharing these! 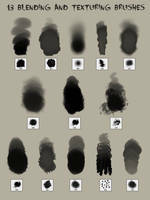 do you by anychance have any manga line brushes too? What do you designate (edit: what kind of line quality) as being "manga lines"? 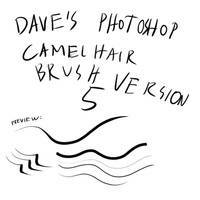 You can draw anything you want with these camelhair brushes above. 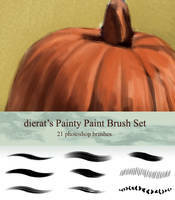 If you want the newest camelhair brushes you might want to try these. 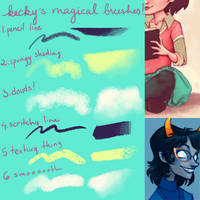 fav.me/d8nac8b And any new brush set released will be on this account. i actually tried out these camelhair and they work great for lines in manga! 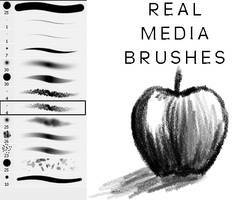 These Brushes have been created for Photoshop, not for Painter. As for installing Brushes for Painter, I do not know any specific website for explaining how to do so. Maybe Google will bring some results. Good luck. 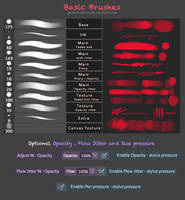 Can someone tell me the correct brush settings to use for these? Thanks. 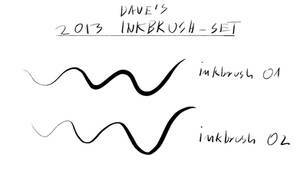 The brush settings are already set. What happens when you use them so that you seek help for the right settings? How do the strokes look like? Do they not recognize the tablet pen pressure? It depends whether you find them useful or not, give them a try and see if they suit your needs. Dear fellow members, the previous two comments have been linked to a website that is detected with active malware. As I am responsible and care for my visitors and followers I have hidden the comments that had this website linked. Please do not link to websites that have active malware, thanks. These are perfect! Thank you .